Chef Jake moved beyond the fresh (or lack there of) fish issue and adjusted his mind-set to the other tasks at hand. It was too late to return to the sales meeting – he would catch up with the department head later on. He checked on the work taking place in prep – tasting stocks and observing the fabrication of meats for the next two days. His intern had a bit of a heavy knife when trimming the silver skin off of tenderloins so Jake stopped to demonstrate the proper technique. Waste is a major enemy of food cost in a restaurant and the chef had the relentless responsibility for watching pennies. His demeanor was different than it was a few years back when he would easily lose his temper rather than take the time to assess the situation and work with his staff to correct issues. He learned the hard way that the message is rarely a major problem it is how the message is delivered. A few years back, at another property, an employee reported his anger to the human resource director who then required Jake to go through a series of anger management sessions. Jake was now (for the most part) a different chef – a better manager and leader. The chef returned to his office to begin building a series of menus for scheduled special events. He knew that the sales office would be breathing down his neck and wanted to get ahead of the game. Two farm-to-table menus, an Italian Tuscan Table, a summer bar-b-que and a wild game menu were coming together when the dining room supervisor knocked on his office door. Apparently the luncheon for 12 in the boardroom had grown. When the group arrived there were actually 26 people (the organizer neglected to give the restaurant an update in advance). The front-of-the-house was moving the event to another room, offering a wine spritzer on the patio while Jake scrambled to help Lester roll from a group of 12 to 26. This was not a huge issue, but it did take the chef away from his original task at hand. There is never time to point fingers – the guest is right and needs to be accommodated. Within 20 minutes Lester and the chef had it under control and the group barely knew that there was a problem. 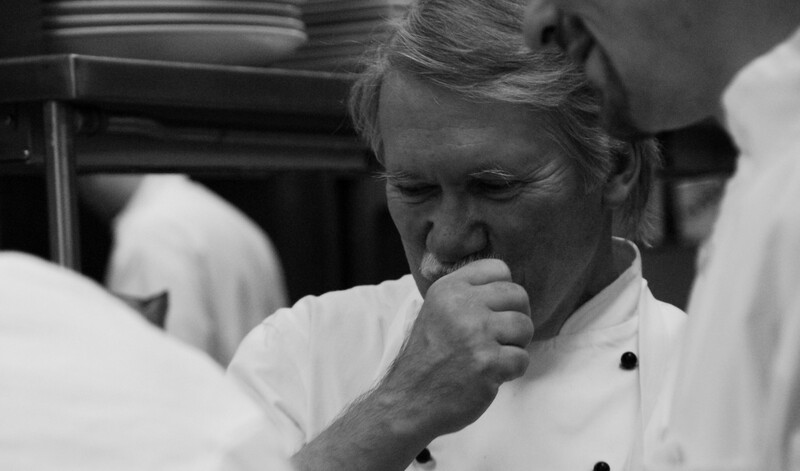 One of the chef’s primary tasks is to solve problems – big and small. Experience as a chef allows for quick resolution to issues that might paralyze an inexperienced crew. Back to the menus, Jake needed another 45 minutes to wrap up his ideas and send the draft menus to the sales office. It was now 1:30 and the evening crew would be arriving soon. The phone in a chef’s office rings relentlessly, but when it chimes close to a shift change it often means that someone is calling out. Jake picked up the phone and listened as the dishwasher told him that he was too sick to come in tonight. Good, bad or indifferent, in restaurants people need to be really sick if they call out. When a member of the team is absent it impacts on everyone else. In particular, a dishwasher void can bring a restaurant to its knees. Once again Jake bit his tongue and did not say what he was thinking on the phone, but instead simply said OK, thanks for calling. The chef immediately got on the phone to try and contact any dishwasher who was scheduled to be off and after three tries managed to convince James to fill in in exchange for an extra Saturday off in the future. He couldn’t be in until 6:00, which meant that everyone would need to wash his or her own pots and dishes until then. The crew would not be happy, but it is what it is. At 2:00 the evening crew began to arrive. Jake was finishing up the menus and was able to email them to the Sales Office by 2:15. The chef grabbed a cup of coffee and walked the kitchen to touch base with each line cook as they arrived. The morning prep crew was nearly done with their work – all meat had been fabricated; vegetable prep was done; shrimp peeled and deveined; dressings made for Garde Manger; pommes frites were cut and in water; shallots, garlic and onions prepped for the line and the stocks were an hour away from completion. Jake’s prep crew was busy cleaning and sanitizing tables so that the evening crew had space to complete their mise en place. The crew was obviously not happy about the dishwasher situation, but simply responded “yes chef” when Jake told them about washing their own. Over the next three hours there would be lots of chopping, dicing, julienne work on a mandoline, clarification of butter, finishing of sauces (monte beurre), blanching and shocking of vegetables as well as preparation of pans, grills and station organization. The kitchen was humming. This was one of Jake’s favorite times during the day. Every kitchen appears to be a balance of great efficiency and utter chaos. The clock is never kind to cooks during these three hours before service, but some how it always seems to get done. At 4:45 Jake’s routine is to check each station with the assigned cook, taste all of their sauces, check temperatures, quiz each person on their crisis planning, spot check plates for cleanliness, review the assembly of nightly features and make sure that the team is mentally prepared. At 5:00 Jake and his evening sous chef take part in pre-meal while the staff enjoys a tasty, rushed staff meal. They review nightly features, discuss the issue with the Red Snapper and how to broach the topic with guests, suggest complementary wines with certain dishes, answer any questions that the front-of-the-house may have and set the tone for the evening. The kitchen staff usually grabs a smoke or just a breath of air for the next few minutes while Chef Jake and the dining room manager walk the restaurant to check on table top details, cleanliness, as well as review reservations and any VIP guests. By 5:30, they are ready to open the doors. Line cooks are now in place; confidant, side towels are folded in preparation and everyone responds: “yes chef” when Jake asks “are we ready”. Dirty dishes and pots are piled high despite everyone’s effort to stay on top of things, but the dishwasher will arrive soon to tackle the job. Jake knows that the sight of dozens of pots and a drop off table full of plates will set the dishwasher off in a bad mood so he instructs the grill cook to prepare a steak for this important employee as soon as he arrives – a good investment in morale. Everyone takes a breath and then the POS printer begins to tick off the first orders of the night. Here we go. **Stay tuned for the final installment of “A Chef’s Day in the Life” on Thursday.